An additional piping might be required for installation charged by the mechanic. 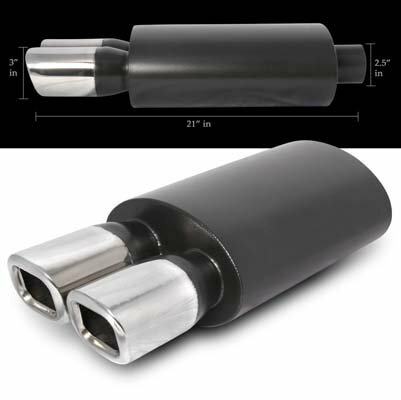 SPECS: Tip diameter: 3" Tip length: 6" Inlet length: 2.5" Inlet diameter: 2.5" Body diameter: 5" Body length: 12" Total length: 19"
All our Performance Exhaust Mufflers are made from the highest quality polished stainless steel. 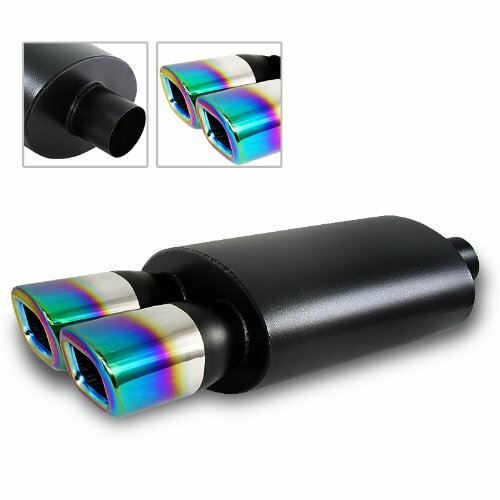 Designed and constructed to maximize your vehicle's power with this straight through concept. 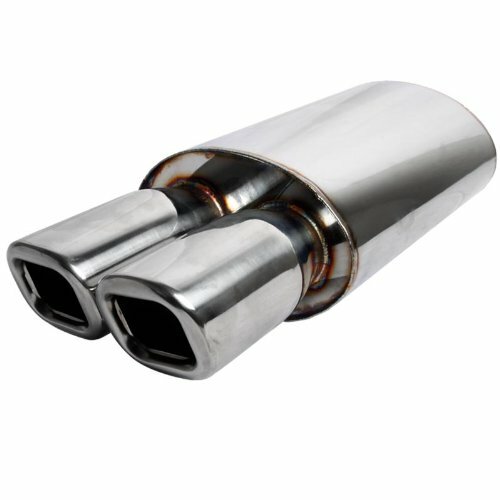 Full T-304 Austenintic Stainless Steel Construction. 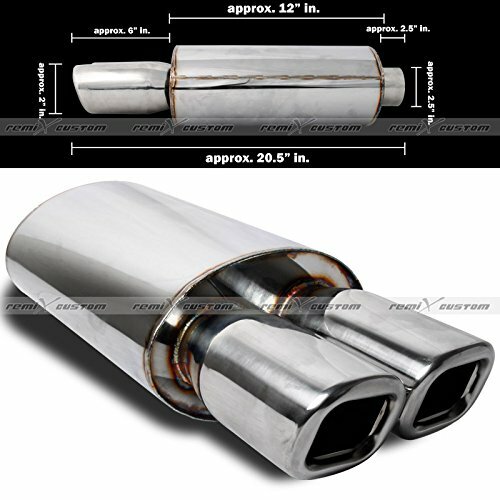 Hi-Power Exhaust Muffler incorporate a race inspired angled mounted stainless steel Exhaust Muffler and piping design. 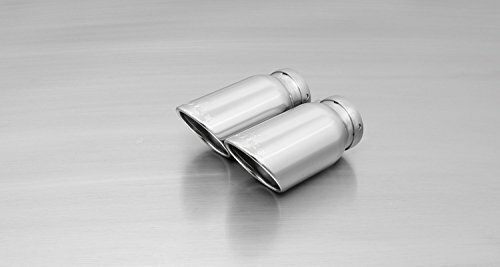 All our Performance Exhaust Mufflers are made from the highest quality polished stainless steel. Designed and constructed to maximize your vehicle's power with this straight through concept. 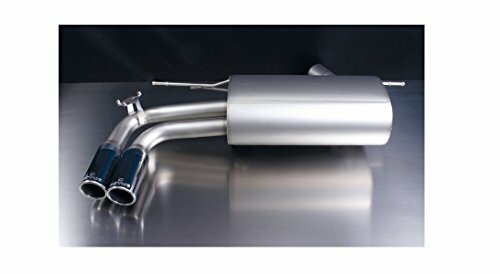 The business end of this exhaust is not for the faint of heart. Dig into the throttle and you'll realize why we call this the "track edition." 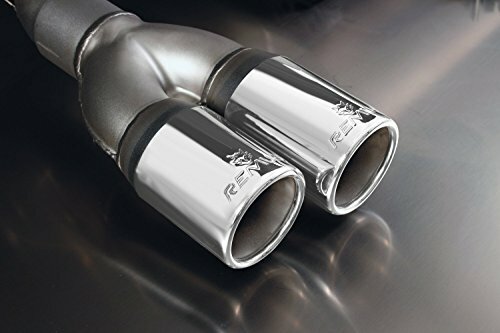 This is a loud exhaust, with potential for drone due to the strategic elimination of certain resonators. 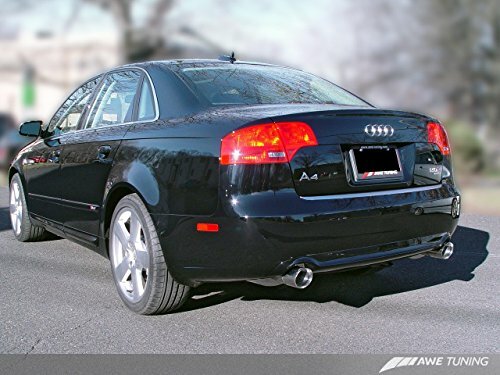 Family drivers and client entertainers, we suggest the Touring exhaust.